AmaWaterways is an ideal river cruise choice for fit and active baby boomers and Gen X'ers seeking a moderate level of enrichment, modern ships and choice when it comes to onshore activities. 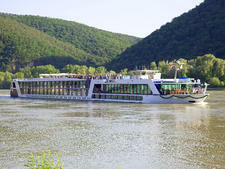 AmaSerena, launched in 2015, fits that niche quite well, sailing seven-night cruises on the Danube between Vilshofen and Budapest most of the year, with Christmas market cruises between Nuremburg and Budapest in November and December. 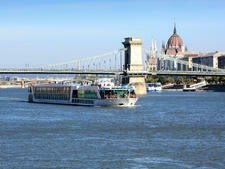 Optional pre-cruise add-ons in Prague and post-cruise nights in Budapest complete the itineraries. A choice of tours is included in each port, with options for hiking and biking when possible. At the opposite end of the spectrum, passengers with a need for slower-paced tours are well accommodated. On our cruise, there were several times when passengers with walking difficulties were offered taxis between one point of interest on a tour and another. 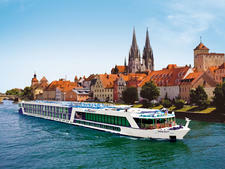 Unique to AmaWaterways are ships with double balcony cabins and the majority of AmaSerena's cabins fall into this category. One balcony is a standard exterior balcony with two chairs and a small table. The second balcony is a French balcony, with only sliding-glass doors and a rail -- perfect for quick peeks outside or for days with imperfect weather. Though all the double balcony cabins exceed 200 square feet, the all-glass walls give these cabins a feeling of being even larger. Public spaces are open and airy, yet cozy and inviting with cheerful color schemes, cushy couches and lots of windows for watching the scenery drift by. A heated pool and ample seating on the top deck make time spent outdoors a pleasure. Food choices are more than adequate and there is never a time when snacks are not available, along with cold and hot drinks. Breakfast and lunches are served buffet style and include regional specialties along the cruise. Dinners are delicious and reflective of AmaWaterways' membership in the exclusive La Chaine des Rotisseurs culinary society. Beer, wine and soft drinks are included with lunch and dinner. Water conservation is taken seriously onboard AmaSerena. We appreciated that our cabin steward adhered to the ship's policy when it comes to replacing bath linens only when they are left on the floor. Ice buckets are also only filled by request, or may be filled at self-serve dispensers located on each floor. The only difficulties on our cruise were with the infotainment system that uses an Apple computer monitor as the television. Some nights when we used the remote control to turn the TV off, it immediately turned itself back on. The only way we could shut it down was to use the power off button on the back of the monitor. The problem appeared randomly throughout the cruise. We encountered other passengers facing the same difficulty. The entertainment options were also not available at all for more than a day. A reboot of the computer solved that problem. As much as the combination technology sounds like fun, a standard TV would have been simpler to use. Cruisers on AmaSerena are typically in the 50-plus age group, mostly active and fit. Most are from North America, with a handful of European and Asian passengers in the mix. 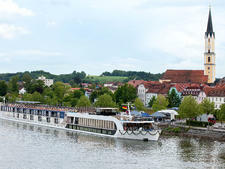 The cruising experience level of passengers leans toward those who have taken several cruises, but first-time river cruisers are commonplace. The daytime attire on AmaSerena is casual and functional, with clothing in the ports geared toward the tours -- either walking, hiking or biking. Swimsuits and cover-ups are appropriate only at the pool or on the sun deck. Because port tours are sometimes scheduled for afternoon or even after dinner, casual attire often carries over to dinnertime. On days when there is time to change for dinner, men typically wear slacks and collared shirts and women wear dresses or a casual blouse with a skirt and slacks or. Passengers typically dress up a bit more on the evening they dine in the Chef's Table restaurant and for the night of the Captain's gala -- with men adding a jacket and perhaps a tie while women break out the cocktail wear. One shore excursion in included in each port of call. Several choices might be offered, ranging from guided bicycle tours to walking tours. In some ports, special interest tours focusing on regional cuisines or beverages are included in place of the basic city overview tour. On these tours, the food and/or beer or wine are included at no charge. Beer, wine and soft drinks are included at lunch, regardless of whether you eat in the dining room or choose the lighter lunch in the lounge. Beer consists of one brand on tap, but pours are generous during the meal. Wines vary according to the port, but a choice of white or red is always available and again, pours are generous. During breakfast, sparkling wine and mimosas are also included. Cabins are continually stocked with bottled water and additional bottles are distributed as tours depart the ship. A variety of things are supplied onboard for your use. Walking sticks, hiking poles and even canes are positioned next to the doors in the reception area. Reading glasses, shower chairs, wheelchairs, curling irons and electrical adapters are available from the reception desk, as are postcards that will be mailed for you at no charge upon request. Cabins have robes, slippers, two umbrellas, a bedside clock and a hair dryer. There is no charge for Wi-Fi and multiple devices can be connected. An Apple computer is in each cabin for surfing the internet via a wireless keyboard and mouse, while the monitor doubles as the television for live TV with 20-plus English channels and on-demand movies, all at no cost. Neither the Wi-Fi nor the in-room computer are suitable for live streaming, but we had no difficulty uploading photos and short videos to social media in most locations along the river. The currency used onboard is the euro. Tips for bus drivers and tour guides are not included. The recommended amount is 1 or 2 euros each. 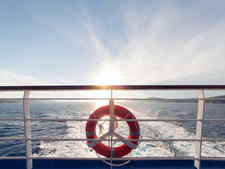 Gratuities for onboard staff are not included in the cruise fare and can be paid in either cash or by credit card. The recommended amount is 12 euros per day per cabin occupant, with an additional 3 euros per day to the cruise manager, who lectures, entertains and arranges tours and enrichment. 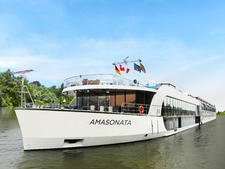 AmaViola debuted in 2016, as part of AmaWaterways' European river fleet. 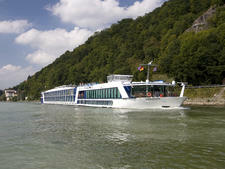 The ship features family-friendly cabins, which is relatively unusual in the river cruise market. 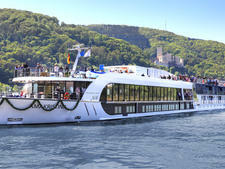 The first of AmaWaterways' ships custom-built to accommodate families, AmaStella debuted in 2016 as a Concerto-class vessel created with input from partners at Adventures By Disney. AmaWaterways' 82-cabin AmaSonata offers an advanced design, a relaxed vibe and an active shore experience with hiking and biking excursions included in the fare. Launched in 2017, AmaKristina. sails the Rhine River on seven-night itineraries in France, Germany, the Netherlands and Switzerland with optional land extensions. With a special wellness component, AmaWaterways' AmaLyra carries 148 passengers and sails itineraries on France's Seine River. The majority of AmaCerto's staterooms feature double-balcony configurations. One side is a French verandah, with floor-to-ceiling doors that open wide, and the other is an actual balcony, with comfortable chairs. 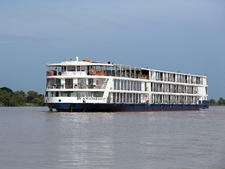 AmaDara cruises on the Mekong River, through Vietnam and Cambodia. The 124-passenger vessel features 48 standard, 226-square-foot cabins, all of which have private twin balconies. 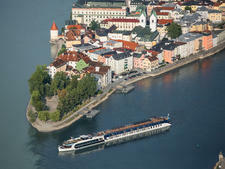 AmaWaterways' 148-passenger AmaDante debuted in 2008 and sails on the Danube, Main, Rhine and Mosel rivers. 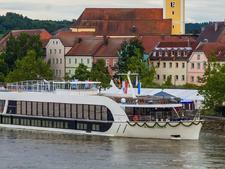 Set to debut in 2018, the 58-passenger AmaLea is the sister ship to AmaWaterways' AmaKristina and will be the 19th ship in the line's European fleet. 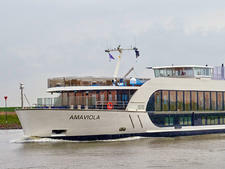 One of AmaWaterway's smaller 148-passenger vessels, AmaCello sails the Rhone and Saone rivers between Lyon and Arles in France. On AmaPrima the majority of staterooms feature double-balcony configurations: one side is a French verandah and the other is an actual balcony, with comfortable chairs. 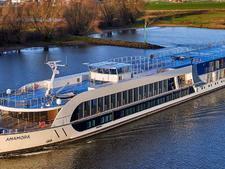 The 148-passenger AmaDolce, deployed in 2016 to France's Bordeaux region, offers an elegant and warm-hearted river cruise experience. Cabins on AmaVida range in size from 161 to 323 square feet; onboard amenities include two dining spaces, a heated pool and a small fitness center and spa. 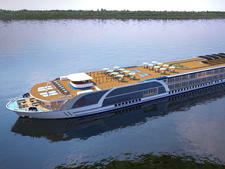 AmaWaterway's highly anticipated river ship for 2019 will be double the size of its other ships, making it the one of the largest on the Danube. 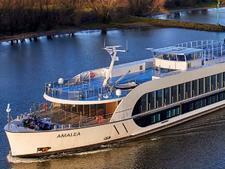 Sister-ship to 2018's AmaLea, AmaMora is the latest evolution of AmaWaterways' comfortable and contemporary European-based river cruise ships. 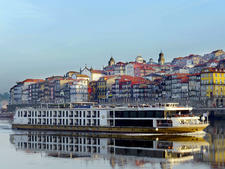 A comfortable way to cruise Portugal's Douro River, AmaDouro brings AmaWaterways' contemporary sensibilities to the land of port wine.